Tomorrow, August 11th, is the feast of St Clare. 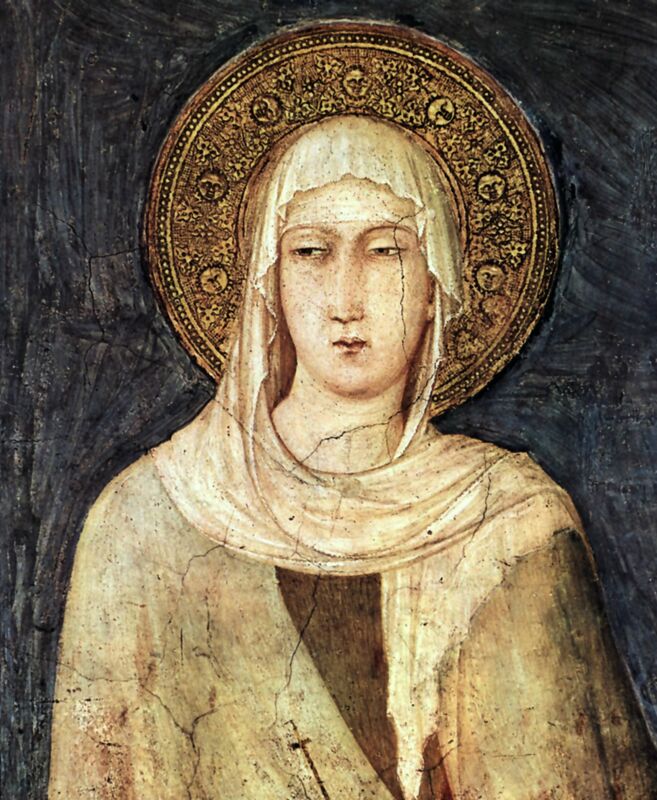 St Clare was one of the first followers of Saint Francis of Assisi. She founded the Order of Poor Ladies, a monastic religious order for women in the Franciscan tradition. Following her death, the order was renamed in her honour as the Order of Saint Clare, commonly referred to today as the Poor Clares. Late in life, when she was too sick to attend Mass, the Holy Spirit projected a vision of the service onto the wall of her cell. She is now the patron saint of television. And in her honour I shall spend the day watching re-runs of Top Gear on Dave.